You would think that a night of food, drinks – and your Uber rides – would be enough; but no. A big thanks to Activision for pulling out all the stops a few weeks ago when they invited me out to their Sekiro Preview Night. Rooms dimly lit by candle light, secret doorways and 3D printed ‘Cursed Monk’ masks for each of the guests were just a few of the ways they set the mood for this event! 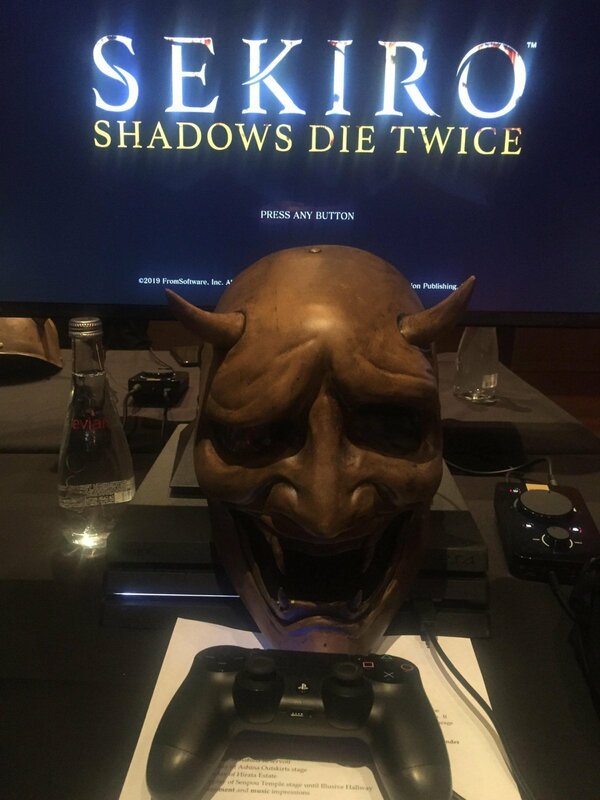 Though ambiance aside, this evening was all about delivering the best look yet at FromSoftware’s newest game Sekiro: Shadows Die Twice! With over two hours of gameplay logged in multiple portions of the game, a video-conference with FromSoftware’s Marketing Manager Yasuhiro Kitao and a 1 on 1 interview with Activision Associate Producer Andrew Petrie, there’s a lot to unpack! So I’m going to organize this according to topic and each section will detail what we learned from the Development team and my gameplay impressions on that subject. When it came to choosing a setting for their newest game, FromSoftware wanted to do something different from the fantastical and gothic they’ve explored in their previous games. They still wanted to stay true to their style of “dark, authentic world building with otherworldly experiences” notes Marketing Manager Yasuhiro Kitao, but they needed something revolutionary. Yasuhiro recounted how FromSoftware President Hidetaka Miyazaki “wanted a world map with a multitier aspect.” Knights in heavy armor couldn’t really fit that mold, but a shinobi from the waning years of the Sengoku period could. Dark Souls and Bloodborne might have very different settings, but one thing they have in common is the overwhelming sense that the world is hanging on by a thread. Yasuhiro notes that the Sengoku era was one marked by constant war and felt very much like a Dark Souls setting – depicting a “depressing world of ruin”. 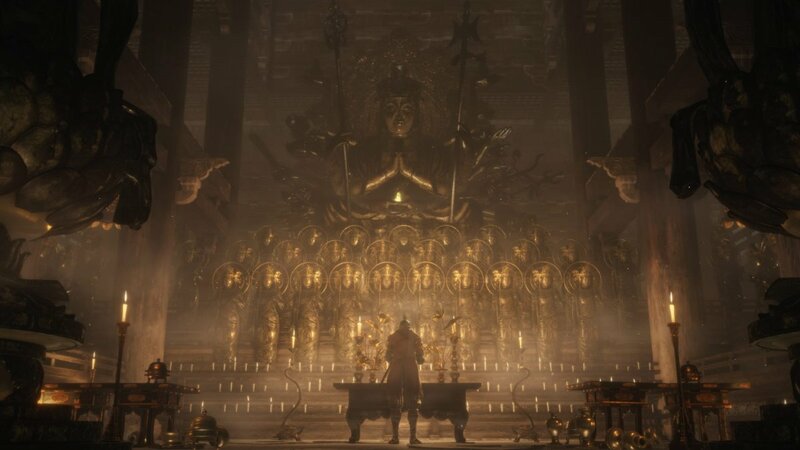 To bring this world to life, the FromSoftware team used numerous written materials from the period as well as architectural references to make this game’s environment feel as real and authentic as possible. Though, as Activision Associate Producer Andrew Petrie noted, what follows is a “slow descent into madness”. As we’ve seen in some past trailers/ gameplay – ie: the giant mountain snake – there are plenty of fantastical elements in this game. That is what Andrew is referring to when he says a “slow descent into madness”. Similar to how Bloodborne presented a Victorian style world that fell off the deep end, Sekiro kicks it up a notch with Sengoku era Japan. 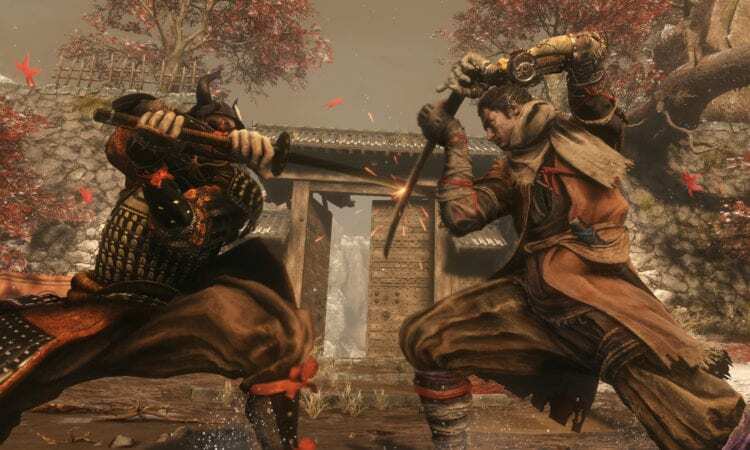 Though instead of dropping you right in the middle of a nightmarish parallel world, in Sekiro you’re initially dropped into a very realistic world; but as you progress, more and more fantastical – and demonic – elements present themselves. It’s not just a boss here and there. As you progress through the game, you’ll find that even basic enemies weigh more on the fantastical side – from giant roosters/cockatrice monsters to shadow crickets and plenty more. Though nightmares aside, the game world is positively stunning! You’ll find yourself searching every nook and cranny not only for items, but simply because the world is so much more open to you than ever before. The added verticality means it’s no longer a simple A to B path, and there’s various ways to travel any distance – each with their own set of secrets, tricks and sometimes traps. Grapple points expand this even further. Though whereas the opening areas are fairly wide open and give clear signs as to what can and cannot be grappled, this varies area to area. One later area is a monastery built into the side of a mountain range with both rocky and heavily wooded areas. You would think with this many trees and ledges, everything would be a grapple point; but that is not the case. The densely packed tree tops and tight corners make discerning proper grapple points much harder – and the enemies certainly use this to their advantage as well. Though whereas they might not have as much mobility as you do, it’s important to know that this expanded world is their playground too. Thinking about taking out that tower first? Great; but be sure you sneak through that abandoned building in the center first, because there’s an archer with his sights on that very tower. See a straight path with only a few enemies ahead? Wonderful! Wait, why are fireballs suddenly raining from above? 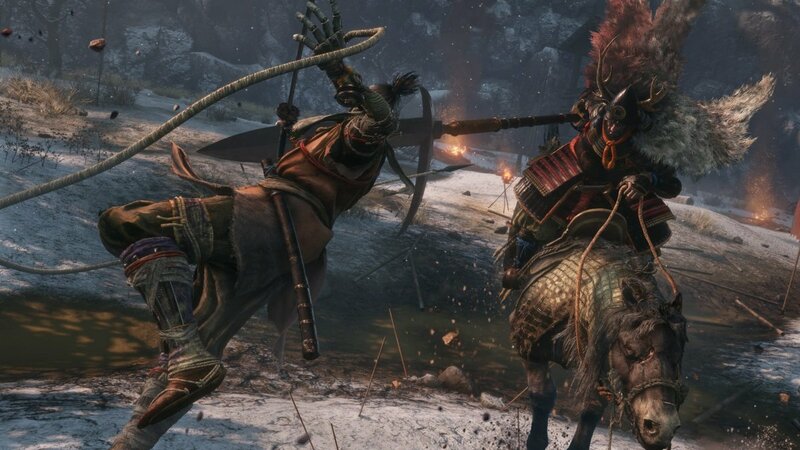 In Sekiro more than any previous FromSoftware games, you need to learn your environment as much as you do the enemies and their movesets. Like other FromSoftware games, you can count on Sekiro to have hard but rewarding gameplay. As I started to explain in the last section, there’s plenty of powerful enemies and dangerous traps, and that is why mastering your skills is so important. Our protagonist might be a master swordsman with a devastatingly powerful prosthetic, but he’s still a shinobi – and shinobi’s are all about stealth! That being said though, this isn’t a stealth game. This is all about mastering the various techniques and skills available to you so that you can better handle what the world throws at you. And as you progress, you’ll be able to upgrade your skills and prosthetic into even more powerful tools. One concern people might have is that since there is no ‘Class system’ like past SoulsBorne games, there might not be as much diversity in play style. Well with all of the skills and tools available, you have nothing to worry about. Some of the players at the premier night were already mastering counters and played super defensively. Others made full use of the prosthetic to overpower their enemies. As for myself, I basically played Assassins Creed style – sneaking around and then leaping off buildings for execution-style attacks. You can seriously play this game however you want, but you’ll need to master each of your abilities if you want to face some of the hardest challenges this game has to offer. Even without grappling, base movement in this game is wonderfully fast and fluid; and the ability to jump gives you both offensive and defensive advantages. Jump certainly saved me a lot of times in combat, but there will be times where jumping to get some distance isn’t a viable option. Bosses and certain enemies do have counters for long range and you won’t always have a lot of space to maneuver. That is why it’s important to learn your opponents and be on the lookout for un-blockable attacks. As you probably noticed in some gameplay, enemies will sometimes have a ‘danger’ symbol appear over them when they’re about to attack. These attacks cannot be blocked, but that doesn’t mean you’re helpless. Watch your opponents. Learn their ‘tells’. If they’re about to sweep, jump! If they’re about to thrust their spear, dodge. And these movements can also be used offensively as well. Jumps to strike the head and dodges to get into their blind spots are also strong motivators for mastering these basics. Additionally, as you make your way through the world, you’ll sometimes come across items known as ‘Shinobi Tools’. These are what can be crafted onto your prosthetic arm. Once unlocked, you can easily cycle through prosthetic weapons as you wish, and each can also be upgraded in various ways to not only improve stats, but also create something new and even more powerful. Does this sound familiar? You have a bunch of souls/ blood echoes and then you get killed. Upon revival, you frantically run to your last location in the hopes of reclaiming your lost souls/ blood echoes. 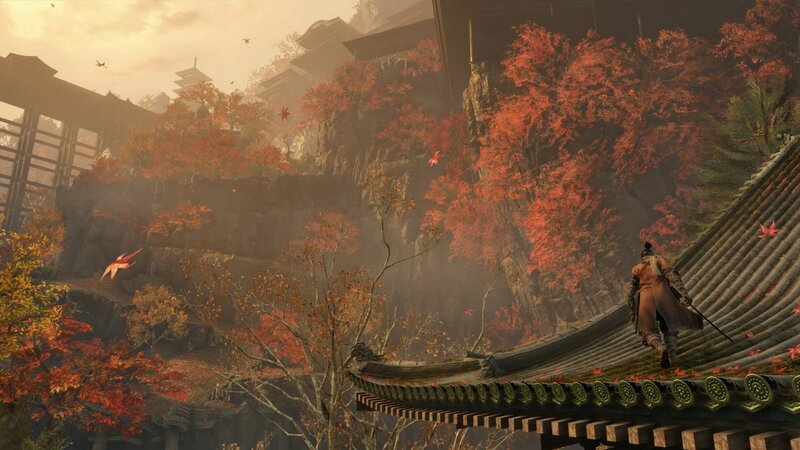 As I began to explain in the first section, Sekiro opens up the world like never before. So if you can literally grapple your way halfway across the map avoiding all enemy encounters… where’s the tension? This is why FromSoftware had to devise a new death mechanic for Sekiro. But if you thought the new ‘resurrection’ ability might also diminish the tension, I can tell you that is FAR from the case and it certainly offers players both rewards and punishments. On the bright side, the resurrection mechanic is a great way for players to stay in the action; and shows your character as someone who is not only unafraid of death, but also as someone who can use death to their advantage. For example, upon death, your enemies will actually think you’re dead – silly enemies – so they’ll eventually turn their backs on you, which if timed right can give you an edge for a sneak attack. Though your window for resurrection isn’t endless and neither is your ability to activate it. On average, you’ll have about 1 resurrection per basic life, but killing enemies will help restore it. That being said though, from a lore perspective AND a gameplay perspective, you actually don’t want to die THAT much. 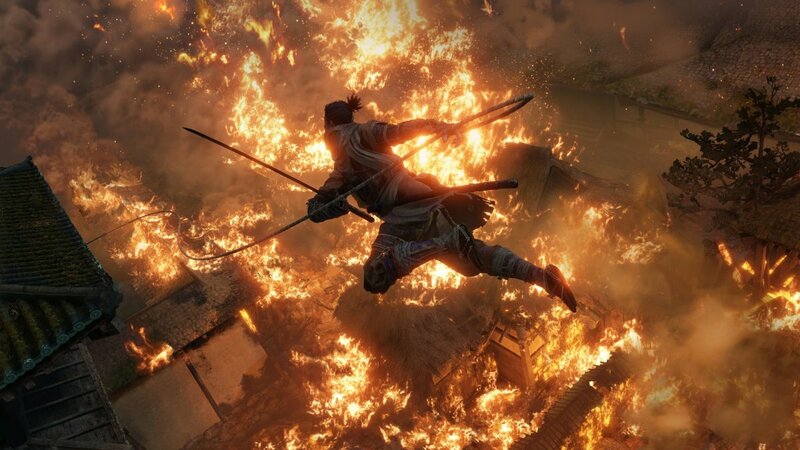 Gameplay wise, death in Sekiro means a permanent loss of half your resources, but sometimes this can be avoided by a blessing known as ‘Unseen Aid’. This will return those lost resources to you; but the more you die, the more you tax it… and everyone else around you. You see, the ability by which you’re able to revive is called ‘the Dragon’s Heritage’, which is a gift from the young lord you serve. Though the Dragon’s Heritage comes with a heavy burden. It’s like “hollowing” in Dark Souls where repeated deaths cause you to be revived more and more emaciated (and sometimes with less health)); but in Sekiro, instead of the Dragon’s Blessing having adverse side effects on you, it affects the world around you. Yasuhiro warned that repeated deaths will cause “disturbances” in the world and characters around you. I wasn’t able to see the full extent of this – yay? – but after a few deaths there were times where I was teleported back to the hub world and told how my resurrections were causing a sickness in the world and that there was no known cure for the damage I was doing. Though this wasn’t just passing dialogue as every NPC I encountered afterwards had a terrible cough to them and the odds of receiving “Unseen Aid” began to diminish. Again, I’m not sure how crazy this gets since I switched save files halfway through; but I’m simultaneously scared and intrigued to find out how bad it can get. Now I already covered in detail how storytelling in Sekiro differs from – and still honors – other FromSoftware titles. So talking about how ‘lore can still be found in item descriptions’ and how ‘cut scenes for this game aren’t going to be massive exposition drops’ is old news. That being said though, now having experienced the game firsthand, I can actually go into more detail about how this achieved and what else is used to aid their storytelling. 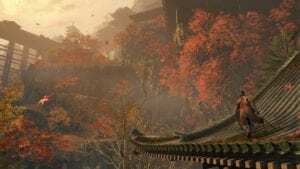 As I mentioned in my previous article, Sekiro’s story focus isn’t the world but rather the characters. This allowed the team to create a much more immersive story around our character (Wolf) and the young lord he was sworn to serve. Though even the NPCs are more individualized. Take for example the Hub World where you’ll find the carver who works on your prosthetic arm, a physician who will help with your healing items, and an undying samurai who can help you practice your techniques. These NPCs are important not only from a gameplay perspective, but also because they add to the storytelling in how they act and respond. You see, this is a game all about subtleties. When you hear the carver talk about how the Buddha statue in the window isn’t his and you notice how all of his Buddha statues look full of rage, you want to know why. When you talk to your Lord and your character kneels and the Lord seems taken back, we see how much our Lord cares for us and sees us as equals – and yet (duty bound) we always submit and kneel. The attention to detail in this game is just found in the level design, but in the smallest of interactions as well. Now if you’re not one for subtleties like these, there’s other ways to explore lore. As I said previously, item descriptions return and cut scenes aid in the storytelling; but items can be used to grant even more story depending on which NPC they’re given to. An item might mean one thing to one character, but something completely different to another. This is how you dive even deeper into the lore. Add in the fact that you have actual dialogue options when speaking to people, and you can see why this game just feels more emotional than any that came before it. Sekiro: Shadows Die Twice comes to PC, PS4, and Xbox One on March 22nd and I am absolutely picking it up; but I don’t plan on rushing through it – and I encourage you not to either. Take your time with this story. Explore the world. Learn your opponents’ weaknesses. Build relationships with the characters. Let yourself experience everything the developers have lovingly put into this game. FromSoftware has always been amazing at creating games that rewarded you for the time you invest in them. From what I’ve seen, heard and now experienced firsthand, Sekiro: Shadows Die Twice is no different. In fact, it might just be the most rewarding yet! Special Thanks again to Activision for inviting me out and stay tuned for my interview with Activision Associate Producer Andrew Petrie.